The food truck industry is exploding!! Are you a food truck owner or thinking of starting up? Not all food trucks are created equal…we want you to be successful and show people the uniqueness that is only you. We’ve been told not to judge a book by it’s cover and while that is very valid, it’s not so much with brands. At any given moment consumers are bombarded with ads and pushed to make quick decisions. Believe it or not your brand will influence the next starvin’ marvin’ walking by to keep walking or to buy your amazing burrito. Not only do you have to create a deliver a memorable food experience, you have to look the part to continually attract new and repeat customers with a strong brand that customers recognize, like and trust. You may have the BEST food around but if your brand is lack-luster, sales will suffer. With increased competition comes the need for unique branding to make you stand out! From your logo and truck graphics to your website and social media, your food truck business must be consistent and relevant and engaging. 3 Willow Design has helped fellow food truck owners succeed and be recognized with various food truck branding projects and are looking for some fun new food truck ventures and cool people to get to work with! No two food truck businesses should look the same. We know you are unique and your truck should reflect that! Your brand is more than just a name or graphic – a complete and well-planned logo puts a memorable visual in the minds of your customers to drive them again and again to your truck. Investment into a professional logo is just as important as your equipment investments – they will both continue to serve you for years to come. 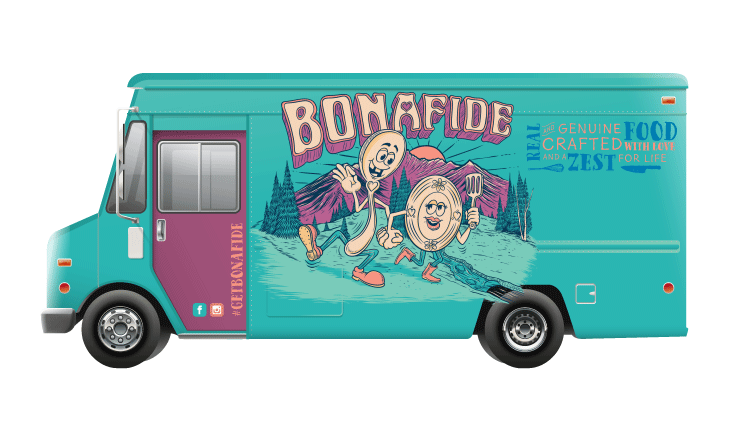 Picture yourself tooling down the road in your fancy new food truck to your next vending location…do you want to turn heads? Make people call your number or visit your website to see what you’re serving up? Or better yet make a COMPLETELY LEGAL 😉 U-turn and follow you to find out more? A successful truck wrap design can do just this! I work to craft a unique and fun wrap design that exemplifies your branding. I will then will coordinate with a chosen specialist in food wrap printing to create a one-of-a-kind WOW truck wrap. Don’t think you need these? Think again…online presence is one very important step but you also need physical materials such as menus or flyer and coupons to promote your food truck business. Including interaction with your customers creates a personal connection and interest. 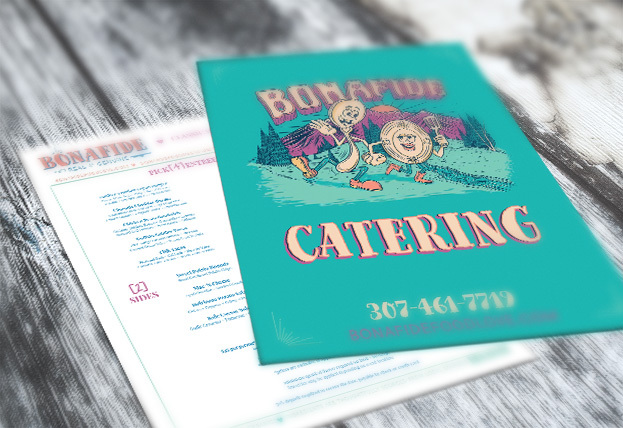 Packages include design on a stand-alone menu with the ability for you to edit the main text areas for changing menus and we can design just about anything you may need! 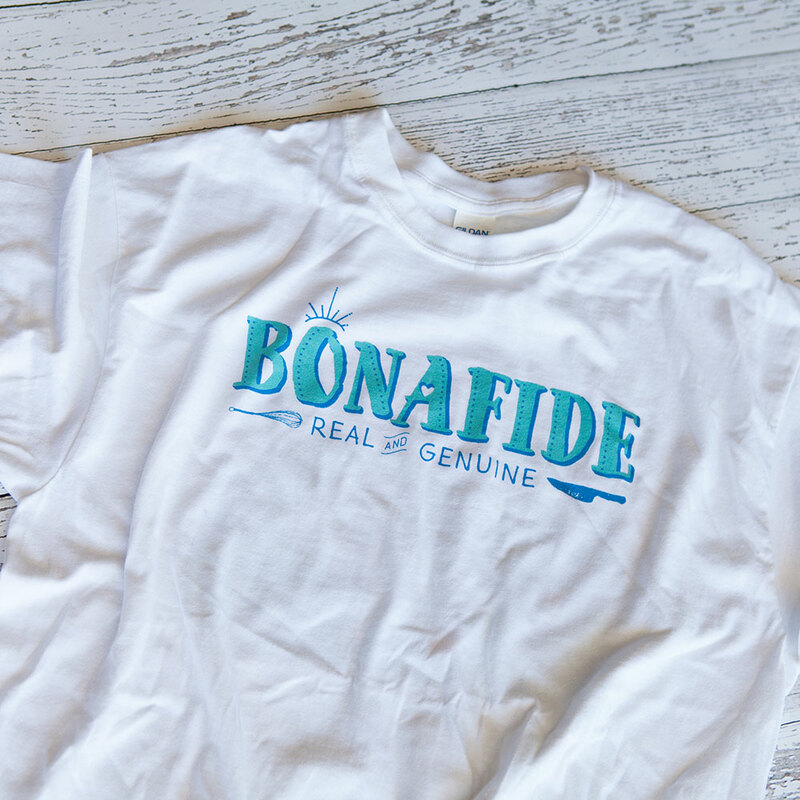 Food truck apparel such as t-shirts and hats can not only be sold to customers as a fun way to grow and promote your brand but also as uniforms for you and your staff. I can design as well as coordinate printing for any of these items (printing cost is extra). The website for your food truck is so much more than just an online presence – it is the landing spot for critical business content such as where you are parked, your menu, special events and can also serve as a hub for your social media information, a place to collect emails for a newsletter and more. 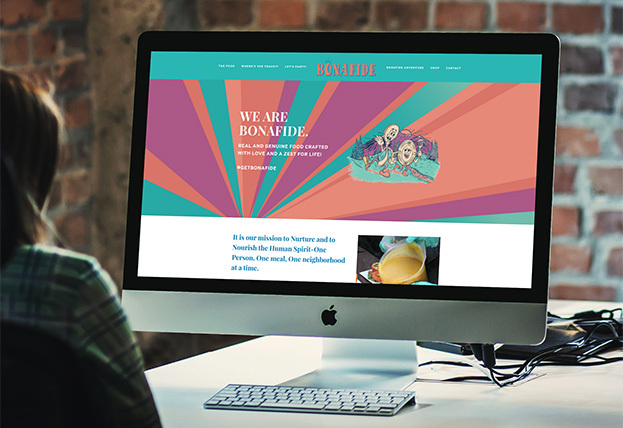 A website is a CRITICAL part of your launch or re-brand. Social media branding for your food truck is also a critical and important facet of your branding experience. While your website is also important for information, your social media channels are often a primary communication tool to engage with and drive your fans. It’s crucial to present a unified and professional image across all your online outlets to build a following and loyalty. Ready to get started on your food truck branding? Packages include everything you will need to elevate your food truck to the next level! A 6 week experience that will equip you with a rockin’ custom logo + brand design + marketing and online presence essentials that breathe “you” and your food truck mission. Ditch the DIY and build trust in your brand. Ready to get started on your branding adventure? I take on limited clients per month in order to devote the necessary time and personal attention to each one. There is often a waiting list so if you are thinking of embarking on this adventure with me or would like to set up a time to talk further, please use the form to the right or email me directly at: melanie@3willowdesign.com.